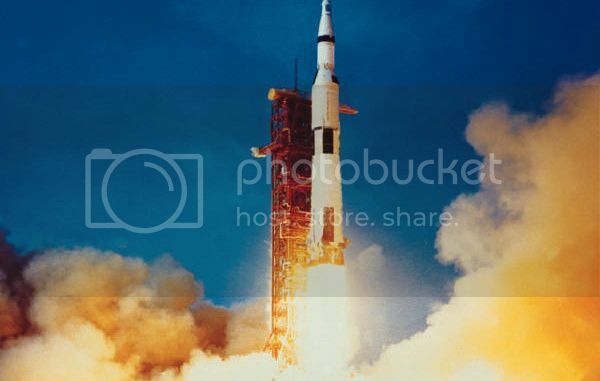 The Apollo 13 mission was launched at 2:13 p.m. EST, April 11, 1970 from launch complex 39A at Kennedy Space Center. Apollo 13 Launch The space vehicle crew consisted of James A. Lovell, Jr. commander, John L. Swigert, Jr., command module pilot and Fred W. Haise, Jr. lunar module pilot. The Apollo 13 Mission was planned as a lunar landing mission but was aborted en route to the moon after about 56 hours of flight due to loss of service module cryogenic oxygen and consequent loss of capability to generate electrical power, to provide oxygen and to produce water. Spacecraft systems performance was nominal until the fans in cryogenic oxygen tank 2 were turned on at 55:53:18 ground elapsed time. About 2 seconds after energizing the fan circuit, a short was indicated in the current from fuel cell 3, which was supplying power to cryogenic oxygen tank 2 fans. Within several additional seconds, two other shorted conditions occurred. This entry was posted in Uncategorized and tagged 11 April, 1970, Apollo 13 by admin. Bookmark the permalink.